Turmeric Latte | I don’t know if you have heard but it’s cold outside. Not just a little cold, like really cold. Polar vortex cold! We are all looking for ways to keep warm and cozy and this warm creamy beverage is perfect. But, this turmeric latte has a little twist. I used a ready-made protein shake as one of my liquids. 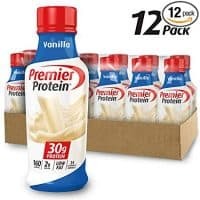 It’s a great way to sneak some protein into your diet. I like to call it a flavor-packed hug in a mug. 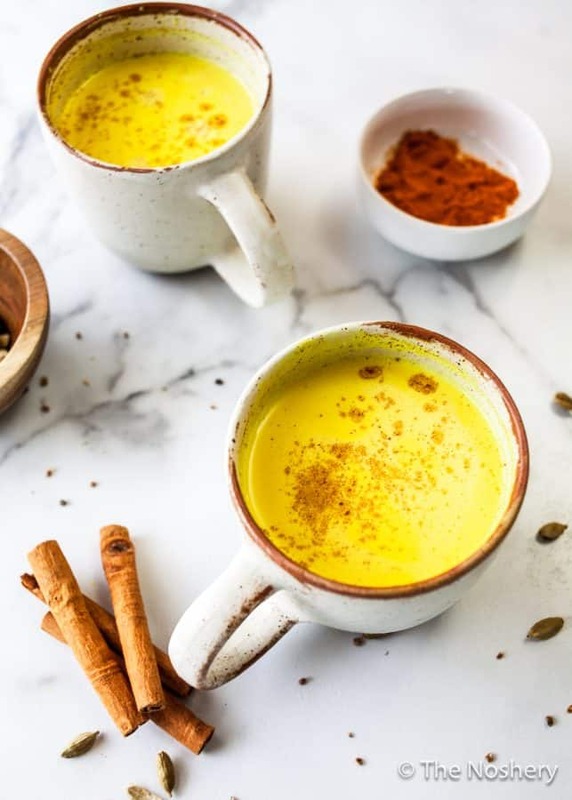 But to be more specific, turmeric latte also called golden milk, is a drink that originated in India and has started to become popular in Western cultures. It is traditionally made with warmed cow’s milk or plant-based milk like coconut milk. It is then infused with turmeric and spices like cinnamon, ginger, and cardamom. Does turmeric latte have caffeine? I know the name is confusing because you here the word latte and you think of a coffee drink. But, latte is Italian for milk and doesn’t always have to include coffee. A turmeric latte has not coffee in it. It’s made a mixture of milk and spices. All that to say, no, turmeric lattes do not have any caffeine in them. Just awesome tasting milk. It’s so easy you will be making these all the time. 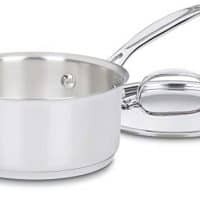 Grab a medium sized sauce pot. Add your milks and spices, bring it to a boil and lower to a simmer. Let the spices steep for 5 minutes and then strain into mugs. For this recipe, I used a combination of canned coconut milk and a ready-made vanilla protein shake. But, you can use low-fat canned coconut milk, carton coconut milk, or any nut milk. I will warn you though that a turmeric latte made using low-fat canned coconut milk or carton coconut milk will not be as creamy. If you want to take a short cut you could technically do a short steep of a chai tea bag in the milk and add turmeric. But, the end result does taste different than a turmeric latte. What is are the health benefits of turmeric latte? 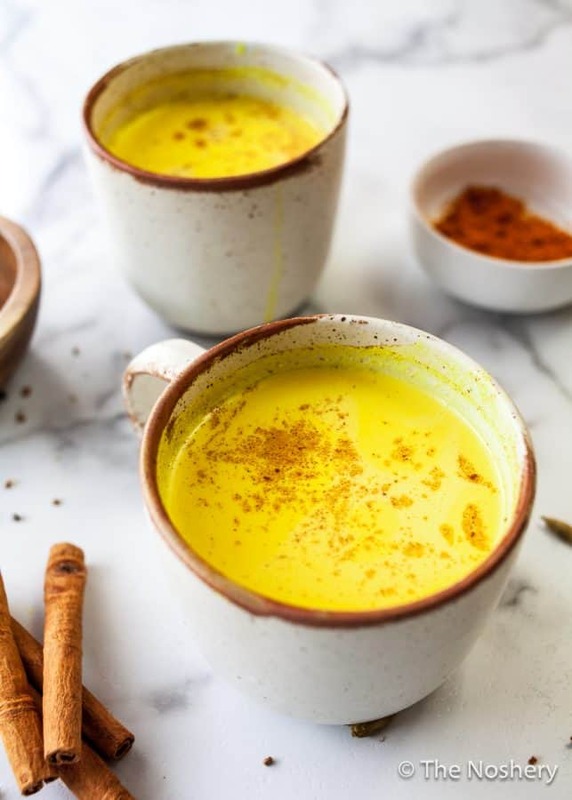 When talking about the health benefits of turmeric latte or golden milk it comes mainly from its ingredients turmeric and ginger. 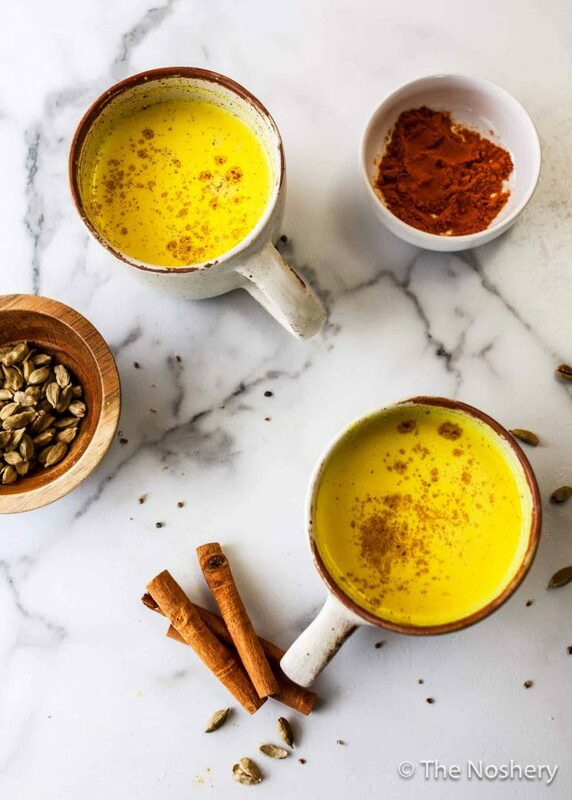 Turmeric latte is rich in antioxidants – This helps fight off disease and infections and contribute to your overall health. Turmeric, ginger, and cinnamon have strong anti-inflammatory properties that aid in reducing inflammation and joint pain. The turmeric and ginger used in a turmeric latte have antibacterial and antiviral properties. Their antioxidant and anti-inflammatory properties may strengthen your immune system as well. Ginger and turmeric may help relieve indigestion. I used a ready-made vanilla protein shake in preparing this beverage. However, you can also make a protein shake with water or almond milk and protein powder and use that was your liquid. Most of the flavor and creaminess comes from the canned coconut milk. For optimal flavor and texture, I recommend you stick with using canned coconut milk. Because ready-made vanilla protein shake is already sweetened I did not feel a need to add any sweetener to my turmeric latte. But, feel free to sweeten your with your choice sweetener to taste. 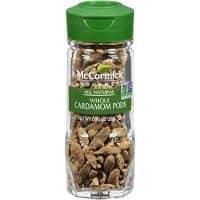 If you do not have whole spices you can use 1/2 teaspoon of ground cinnamon and 1/4 teaspoon ground cardamom. I love a warm cup of tea or a hot cup of coffee every once in a while but, sometimes I crave something different. A warm turmeric latte with its coconut creaminess and warm spices is just the trick. If you’re looking for more warm beverages maybe you should try a spiced orange shrub hot toddy, dirty chai latte, or hot buttered “rum”. If you simply love drinks be it hot, cold, or tipsy visit my collection of drink recipes. 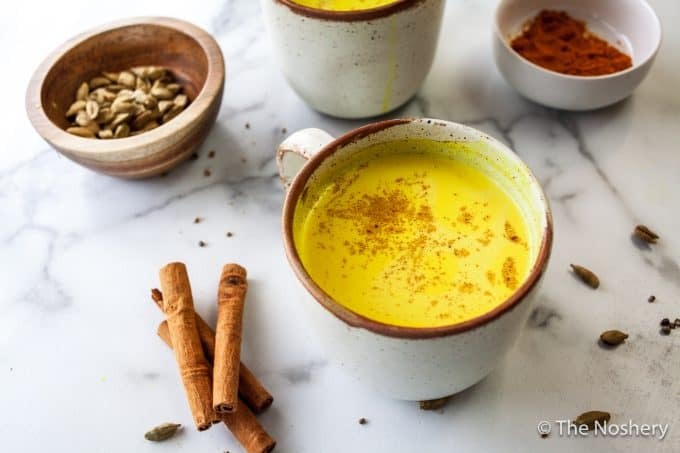 If you're looking for a creative and delicious way to add some protein to your diet try this protein turmeric latte. It's warm, comforting, flavorful, and packed with antioxidants. In a medium sauce pot, add all ingredients. Whisk together and bring ingredients to a boil, then reduce heat to a simmer for 3-5 minutes; stirring occasionally. 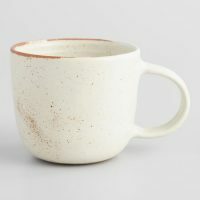 Using a strainer pour latte into 2 large mugs, sprinkle with ground cinnamon. Enjoy!